For budding investors, it may appear challenging to crack into this tough market. While there are a number of nuances that must be learned, it is possible to get on board quickly and start making deals. When the right steps are taken, it will be relatively easy to find success as a real estate investor. While investing may seem like a unique opportunity on the surface, the best professionals know to treat it just like any other business, according to Auction.com. In fact, going into the process with the same research that is required for starting a company can help increase the odds of success. For starters, all investors should draft up a business plan, the news source noted. This document will include the details behind the scenes, including starting capital, contacts and benchmarks. In addition, now is the perfect time to find a few other professionals to work with. It can really pay off to have a network of quality lenders, home appraisers and agents who can provide honest advice during this process. Above all else, new investors should look to veterans for guidance when getting started. Those who have done it all before can offer some great advice, including where to find properties, who to trust and how to budget. They can also shed some light on the right career path, whether that be home flipping, becoming a landlord or another option. No matter what, investing in real estate takes a strong understanding of the local housing market. With CRS Data, professionals can access mortgage records, property data and much more, right online. Now, a trip to the local courthouse is no longer needed. Investing in real estate is a fantastic career for several reasons. One is the fact that professionals can choose a number of paths to go down, and there are many ways to make money in the industry. According to the Bigger Pockets Blog, however, investors must play to their strengths. For instance, home flipping can be an ideal choice for a lot of people. It is exciting and provides ample room for profit. But, it takes a skilled hand at home improvements. Knowing how to make renovations without hiring help can save a lot of money. Therefore, it isn't right for everybody. 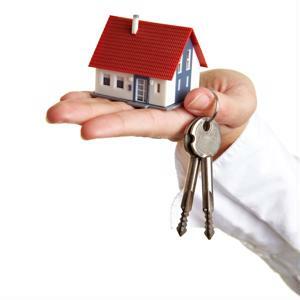 Other people may be better suited for becoming a landlord. With that in mind, new investors should first determine what they are best at. These strengths represent opportunity for success in the industry, and trying to fit into a different mold can be a serious problem.